I've had a Sav Bing Punto Oro - good example & good on ya. The Erickson is hard for me to see. Don't Danish Pipes have to have extra duty gargantuan stems? I think it's one of their laws or something. So, you got a bootleg Erickson or, what? It was a well-smoked estate a friend gave to me. I don’t know its history. But the stem still had the Eriksen “E” on it so I expect it’s original. What about the button thickness? I am now going to text that to random work mates, just for fun. Yeah, the button is pretty hefty. My fellow PM in California only said, "What??" Disappointing. Let me try some others. I think yer spot on with the small dunny fishtails. Really top notch. I have a group 2 Canadian fishtail - super schweet. Wow. That one from JMG looks really good. I hope he can chime in and give his take on the particulars of making them. You'd have to ask a real pipe maker. The only reason I've ever done a fishtail is when I've made a pipe with a smaller diameter shank and if I carried that diameter throughout the bit of the stem it would be awkwardly narrow. who moved to Colorado to be closer to trout. That's what I thought - that fishtails are a practical necessity on smaller pipes or pipes with small diameter shanks. That's probably why I like them. And knock it off. You are a REAL pipe maker. Yes, and a fine one! Seems to me, I've never seen a Churchwarden without a fishtail?!? 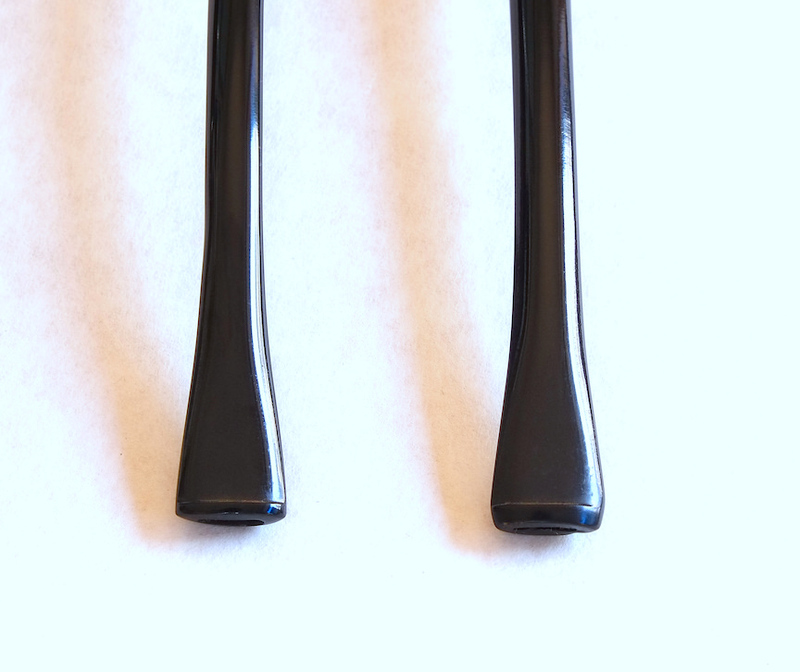 Perhaps they're traditional on Churchwardens because the wide bit helps you keep that long-stemmed pipe under control. 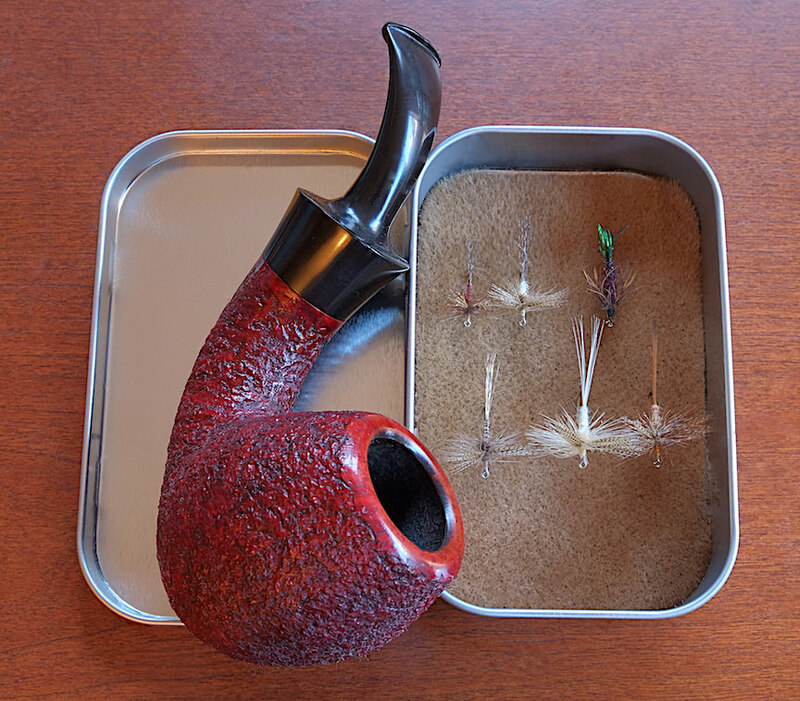 Churchwardens are always fishtails because they taper too thin for a comfortable bit otherwise and because they are premold stems. 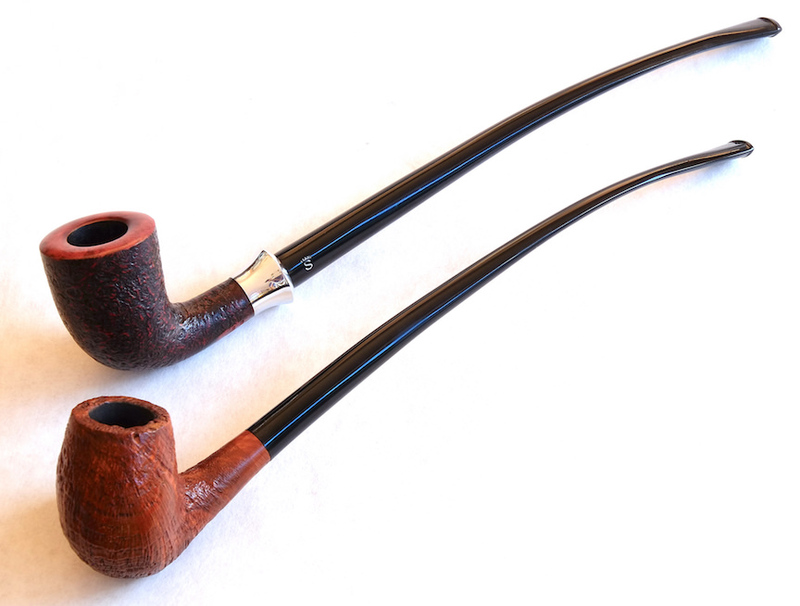 When was the last time you made a churchwarden? Perhaps it's time to make another. Just sayin'. I made one with a handmade acrylic stem for a CPSer a long time ago before I knew any better. I'm having Carter Hall in your Lovat POY right now. So, I can't really curse you, now can I? Oh, it's not that I dislike churchwardens. I like them very much. It's that I dislike making them because the stems are a real bear to drill. That's why almost all of them are made with premolded stems. No drilling involved. Not to mention they don't even make tapered drill bits long enough so you have to make them yourself. Once you get over that hurdle you have to deal with a long drill bit that flexes and wants to wander plus all that friction heating up your stem material. It's a real bear but it can and has been done. Just not often. The ROI is pretty low. Did you ever do a stem like this? This thread is making me wish for some of the pipes I sold off.